Since an internal, or integrated battery mod doesn’t have removable batteries, it requires no battery purchases. Mods with internal batteries usually also lack thick copper contact points for the batteries and use soldered wires instead. Eliminating the extra hardware allows companies to make internal battery mods that are small, light and inexpensive. 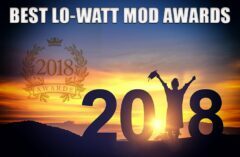 In 2018 we’ve become used to internal power of up to 8000mAh and 4400mAh which provides several hours of use before needing a recharge. 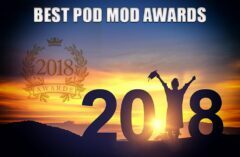 We’ve found four such mods that not only have long battery life, but offer superior performance. If integrated battery mods are in your wheelhouse, we think you’ll be excited to see which devices deserved a Spinfuel Vape Award. As much as we loved the Voopoo Drag 2, we have lots of love for the Drag 2 Mini. Part of the reason is the smaller size and the 4400mAh of internal power. Delivering hours of vape time, the Drag 2 Mini is the best internal cell mod on the market today. 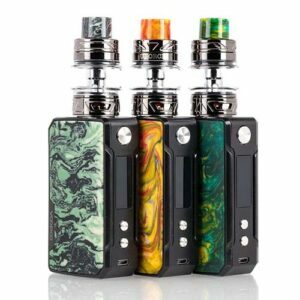 The VOOPOO DRAG Mini 117W TC Starter Kit is the perfect mid-level wattage vape system, integrated with a built-in 4400mAh battery and the exceptional GENE Fit Chip for battery-efficient outputs with various power modes to power the UFORCE T2 Sub-Ohm Tank. 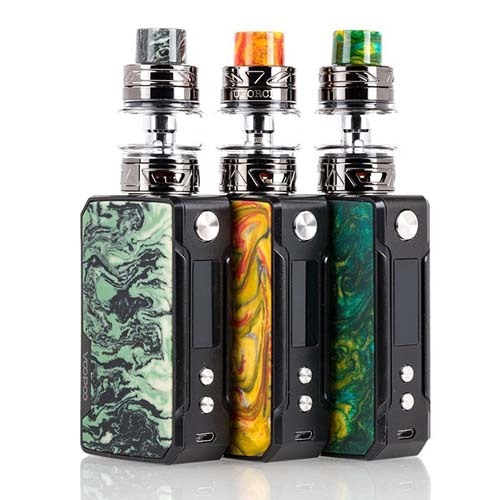 A compact rendition of the iconic DRAG 157W while modern chassis update, the DRAG Mini 117W provides a smaller profile to fit comfortably in-hand while maintaining the visual prowess VOOPOO’s devices have come to known for. The internal GENE Fit Chip is quite dynamic and excellent for battery efficiency, with the addition of multiple output power adjustments such as Flavor Mode, Cloud Mode, and Battery Mode. The UFORCE T2 Tank features 5mL maximum juice reservoir, ergonomic sliding top-fill design, triple-slotted airflow control, and the utilization of the mesh-capable UFORCE OCC Coil System. 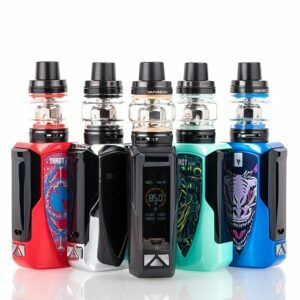 The Innokin Kroma-A Zenith 75W Starter Kit is a reliably sturdy mod, featuring an ergonomically compact exterior shell, integrated 2000mAh battery, and an extensive temperature control suite to pair with the Zenith MTL Sub-Ohm Tank. The Kroma-A Box Mod retains the ergonomic form of the original, presenting soft contour around the chassis while replacing the recessed 510 section with a flat base to accommodate a wider range of atomizers. Operated by an oversized firing mechanism and two button adjustments, an accompanying OLED screen provides a large display matrix for essential information at a quick glance. It is powered by a built-in 2000mAh Li-Po rechargeable battery, offering superior battery life and can be quick-charge up to 2A. Integrated within the device is a powerful Aethon chipset, providing steady power output with a threshold limit of 75W and precision temperature control with native support for Kanthal, Titanium, Ni200 Nickel, and Stainless Steel 316L heating elements. The Innokin Zenith MTL Tank measures 23mm in diameter, beautifully designed with a metal sleeve exterior to protect the 4mL glass reservoir of vape juice. The Zenith is equipped with a unique Twist-to-Open top-fill method that exposes the large filling port for efficient wicking process. Airflow enters the Zenith MTL Tank through four adjustable airslots located at the base, each measuring a different diameter for precision fine-tuning for desired airflow pull. The central atomizer chamber accommodates the new Zenith Coil Technology, headlined by a 1.6ohm MTL Coil rated for 10 to 14W and 0.5ohm Plexus Z Coil. The SMOK V-FIN 160W TC Starter Kit is designed to have one of the longest lasting built-in battery device in the market, featuring an integrated 8000mAh rechargeable battery to pair with the new TFV12 Big Baby Prince Tank. The SMOK V-FIN 160W Box Mod is built for ergonomic fit in-hand, implementing a superior Zinc Alloy shell with modernized design imprints for a timeless masterpiece. Similar to many of SMOKTech’s iconic vape systems, the V-FIN has a big lateral firing bar for a stealth button design. The crowning achievement lies within the impressive 8000mAh internal battery, offering unprecedented operational use for an every day device. 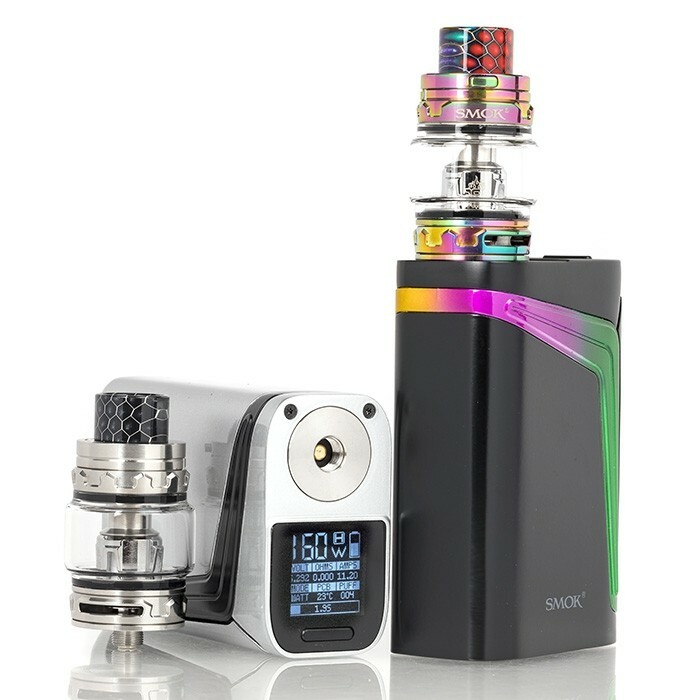 Powered by SMOK’s newest intelligent chipset for compact devices, the SMOK VFIN can power up to 160W of maximum power and a wide range of dynamic output adjustments such as Memory Mode. 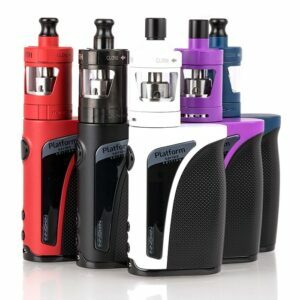 Pairing with the device is the TFV12 Big Baby Prince Tank, implementing a maximum capacity of 6 milliliters, new button-lock hinged top-fill, smooth dual bottom airflow control, and the utilization of the TFV8 Baby Coil System. 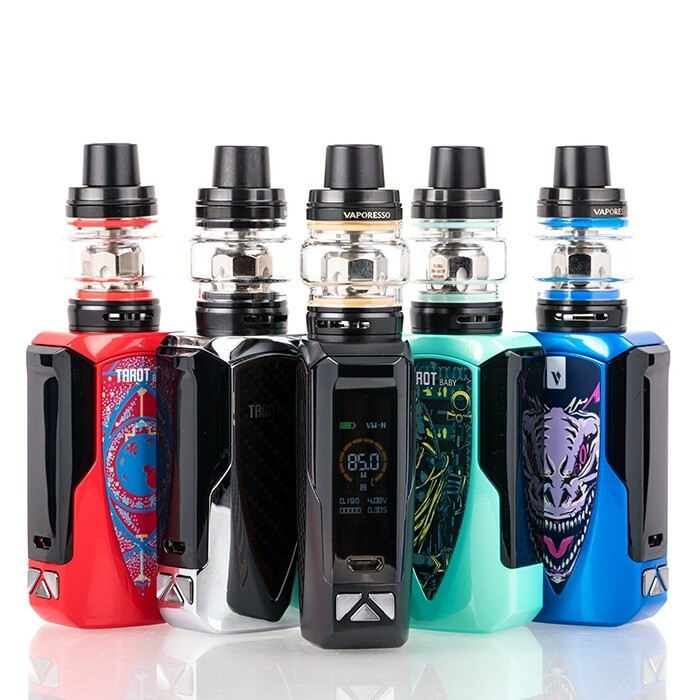 The Vaporesso Tarot Baby 85W TC Starter Kit features integrated 2500mAh rechargeable battery powering the OMNI Board 4.0 Chipset, with one of the quickest firing speed and an extensive temperature control suite. The Tarot Baby 85W utilizes the advanced OMNI Board 4.0 Chipset to achieve the 85W firing wattage while the chipset also supports the unnaturally fast firing speed of 0.002s. This firing speed is impressive and is ultra-responsive from the very first puff and will consistently fire as soon as the button is depressed. A 0.96″ TFT Color Display relays the basic vape data back to the user on a large full color screen. This small compact vape is packed full of advanced technological features and specifications to satisfy even the most pickiest of vapers. This box mod is crowned with the flagship Sub-Ohm tank from Vaporesso, the NRG SE, or Special Edition.